Durban’s own Maboneng – Rivertown beckons! I absolutely loved my jaunt around the Maboneng District when I was in Joburg recently, so to hear that the brains behind its rejuvenation – Jonathan Liebmann of Propertuity – is spearheading a similar revival in Durban is possibly the most exciting news I’ve heard in a long while. Propertuity will be partnering with a host of Durban professionals for the transformation of one of our very own urban spaces into a thriving destination. What’s even more encouraging is that the full support of the eThekweni municipality is behind the project and together with local architects, artists and change-makers, the beginnings of RIVERTOWN DISTRICT will be launched with a development at 8 Morrison Street. “We want to create a neighbourhood that uplifts the area, while taking into account the fascinating existing essence of Durban. 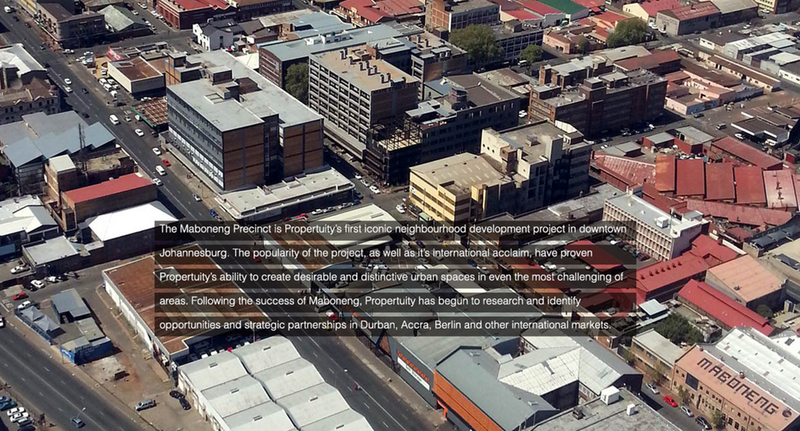 Our intention is not to roll out a model of what has been done so far in Maboneng, but to rather look at this as an entirely new project that stays true to Propertuity’s core values and principles, driven by a new team of Durbanites”, says Propertuity developer Jonathan Liebmann. Collaborators on the project include Durban based designworkshop:sa architects (the architects responsible for Durban’s Warwick Junction and the Constitution Hill urban precinct in Johannesburg) and local marketeers- ‘I heart Market’. Marco Santoniccolo, owner of the highly successful Spiga restaurant in Florida Road, has been appointed the Operations director for Propertuity Durban. Andrew Makin of designworkshop:sa says “We are collaborating with Propertuity to design and deliver a number of mixed residential, hotel, commercial, cultural and retail projects in Rivertown. They will be the first evidence of the transformation of the Durban CBD into an inspiringly diverse and super-liveable environment and the refocus on the global resurgence of urban life and its unbeatable economic, cultural and social benefits”. The Rivertown Precinct is located between the Durban International Convention Center and the beachfront. In addition to a rich existing cultural dynamic, its accessibility and scale and the character of its historic light industrial and storage building stock and street network is ideal for regeneration into a vibrant mixed-use, mixed economy project. Existing sheds and structures that characterise the area will continue to define the street level precinct experience. The pioneering development at 8 Morrison Street will be developed in 3 phases, the first of which is the launch of a weekly food market as well as an exhibition space for arts and architecture inside the existing 800sqm warehouse space. The second phase will see the development of a commercial component with office spaces added on a mezzanine level inside the space. The third component will be the construction of a new tower that will include residential apartments and a hotel. In addition to the redevelopment of this iconic property in Rivertown, Propertuity will be developing two famous art deco buildings in the Durban city centre. The redevelopment of these buildings will create 150 apartments priced from R 350 000 for purchase. The first phase of the Rivertown development will launch on 3 August 2014 with a weekly Sunday market – The Morning Trade, at the 8 Morrison Street development. 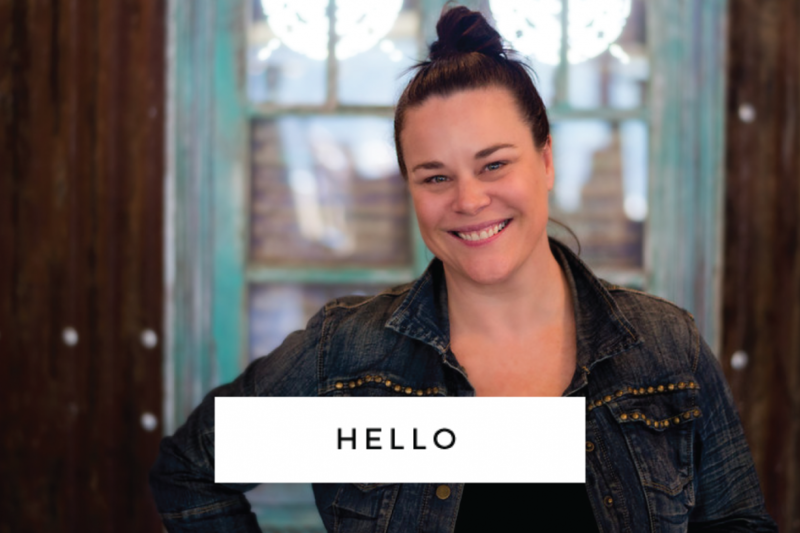 Anna Savage, owner of Durban’s award winning ‘I heart Market’ and former professional chef has merged her skills of running markets with her knowledge and passion for good, honest food to create the latest market sensation, which will take place weekly from 8am – 2pm. “The Morning Trade will focus mainly on fresh, high quality artisinal foods as well as providing a space for Durbanites to buy their groceries, top quality meats, farm fresh ingredients and delectable specialities”, says Savage. The launch will also include an opening exhibition curated by Angela Shaw of Kwazulu- Natal Society of Arts, and showcasing the work of several Durban based artists. Permanent elements of the exhibition will include mural art and large scale sculptural and lighting installations, while elements such as urban photography, Mahala street print and video installation and surfing and skateboard installations will be on display for the duration of the UIA conference. Some of Durban’s most prolific artists will be exhibiting print work inside the space, and local furniture makers will also be given a platform to showcase their work within the exhibition. Music for the opening event will be provided by the popular Chairman Bar. So – it’s ALL happening in the bin! Such exciting news and developments, I will keep you up-to-date as and when I receive more info! I second Jess on what she said. This idea is by no means new. Exciting as this project may sound the reality is worrying, as the above commentators have mentioned. The developers have a certain, how can I put it, ‘reputation’ for their development process. These developments seem little impact for the poor or the present city dwellers often forcing the original inhabitants out under the guise of perceived “urban decay” and “urban blight”. I for one am still trying to comprehend how a balance between the two can be achieved…maybe it is just a dream. Will this become another place-less secluded and exclusive zone like the Point development or will this truly stop the northward sprawls, enabling a more inclusive and diverse city? I guess time will tell…. James – I have also been worried about that. What the inner city desperately needs is social housing – especially within the Warwick area. I was also initially worried about pushing poor who live in the area out – but have looked a lot at the area, and it is really semi industrial, with little housing. And yes, I hope it becomes an inclusive area, for all durbanites to enjoy. If you’ve done any research on Jonathan Liebmann, you will know that he purchases empty, abandoned buildings. Nobody has been kicked out, the local community is very much a part of the regeneration. Local artists are responsible for 90% of the murals around Maboneng. Joburg’s inner city was neglected and people (including myself) had no interest in engaging with it. Maboneng has not only brightened the image for the local community, but it has drawn in crowds from the stuck up neighbourhoods of Sandton and Fourways. Please take this from someone who has grown up in Gauteng and been taught to stay away from the inner city, you have nothing to worry about. If there is one company that should take on THIS project it’s Propertuity. Stay open minded you are going to fall in love. Cam has been tirelessly pushing this exact area which Propertuity have chosen to develop for exactly the same reasons. Cam has researched the hell out of that space, yet no phone call or inclusion. I can bet your bottom dollar that his dissertation had something to do with the renewed interest in ‘Rivertown’. Rant over, just feel when you have such passionate architects on your doorstep you’d be silly not to include them. Sounds great but at the moment representative of only one community in Durban, how will other communities be bought in to also make it inclusive and representative of ALL that Durban has to offer? Hmmm – a big distance bet,ween Warwick and Milne. I wonder how they are going to be connected…. That’s pretty awesome! The argument for moving to Durban is more and more appealing every day!